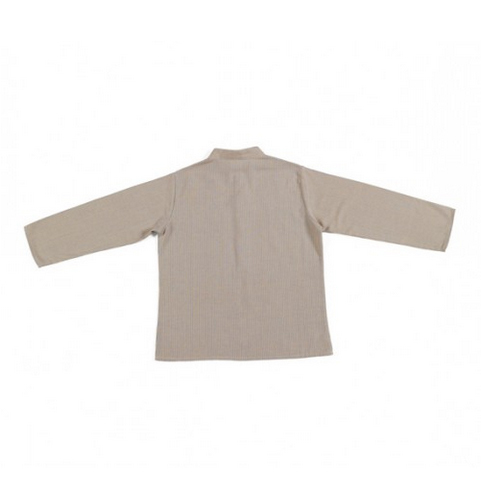 Description : The beautiful Joachim shirt is simple and easy to wear. 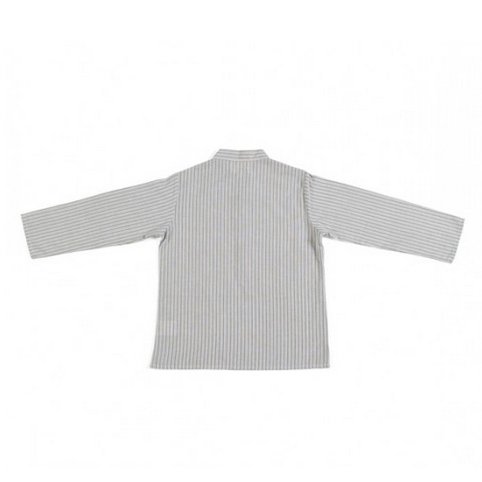 The beautiful son dyed fabrics gives a smooth feel and authentic quality. This is a shirt that your child will enjoy wearing. 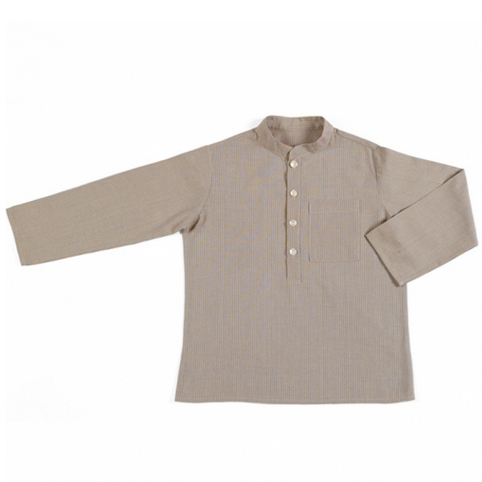 Joachim shirt is made of 100% cotton button front fastening, porcelain necklace and a simple cut. 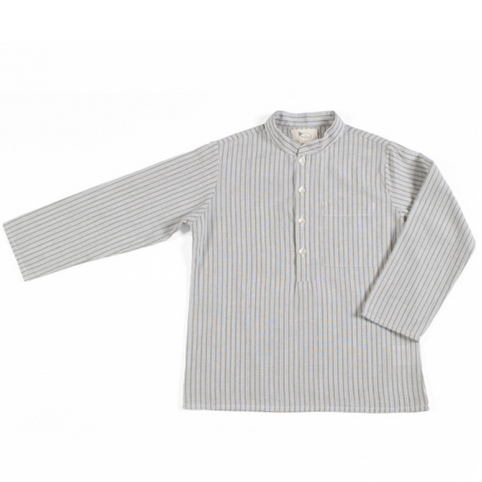 Grey-green striped shirt, 100% cotton - Pierrot la Lune. Description : The typical bohemian piece Pierrot the Moon. Milos has an oriental touch, with an aesthetic and simple cut that makes it absolutely beautiful. Shirt unisex style of diverse opportunities. 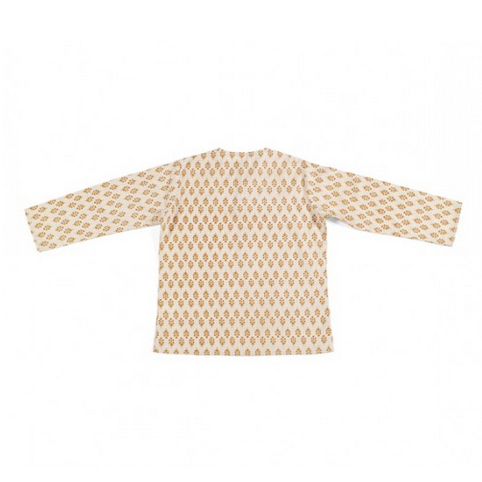 Milos shirt is made from 100% certified organic cotton. Shirt has an oriental touch, printed Inca yellow gold, 100% certified organic cotton - Pierrot la Lune. Shirt has an oriental touch, printed turquoise Inca, 100% certified organic cotton - Pierrot la Lune. Description : Get the exclusive look Pierrot the Moon with these classic pants Savannah. The pleated skirt effect adds poetic charm to the silhouette. 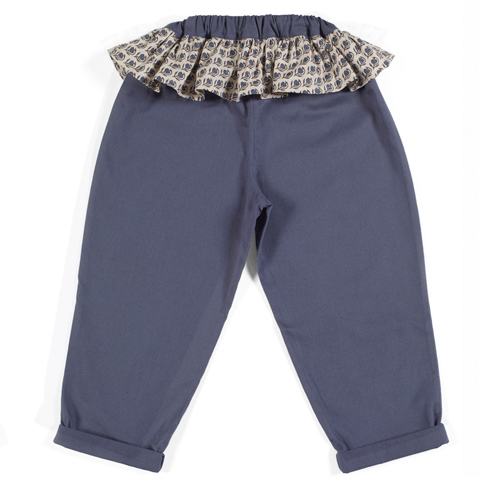 Savannah has a relaxed fitting pant with adjustable belt. 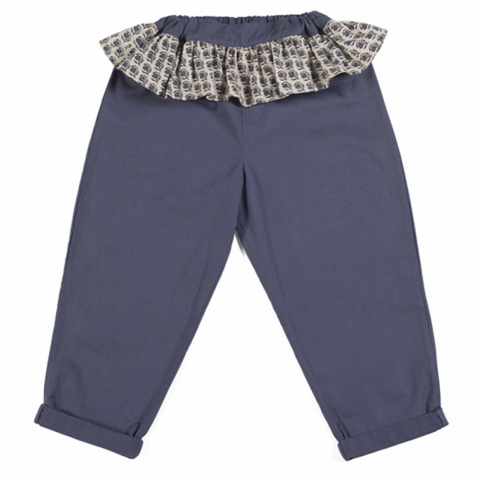 Savannah pants are 100% soft cotton fabric and the skirt effect is 100% certified organic cotton. Description : A simple and beautiful skirt inspired by the silhouette of the school uniform. 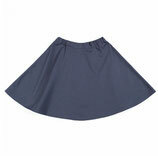 Kashi skirt has an adjustable belt that allows your child to feel comfortable and free to play. Kashi skirt with large flower print is made from 100% certified organic cotton. 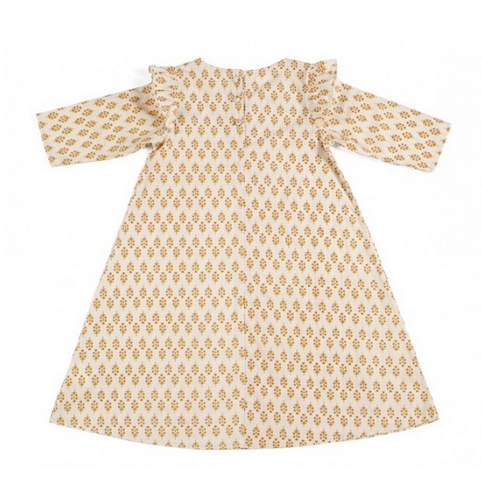 The yellow Inca gold printing on ecru gives the dress a simple look, ethnic and bohemian. 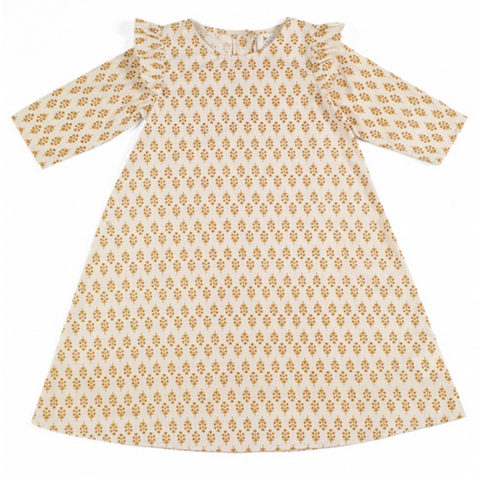 The floral prints and Inca are a signature of the brand Pierrot la Lune. 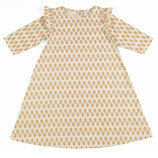 Ella dress is made of 100% certified organic cotton. 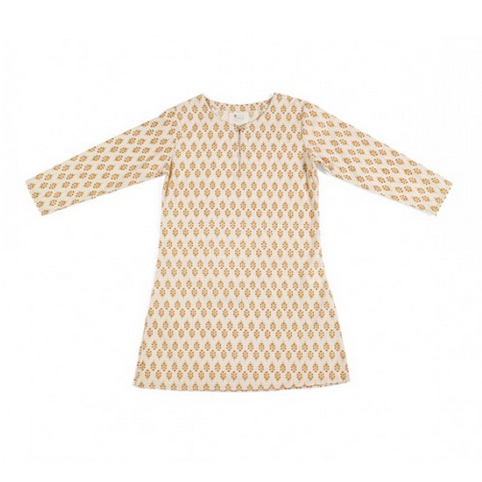 Ecru dress printed with yellow Inca gold, 100% certified organic cotton - Pierrot la Lune.